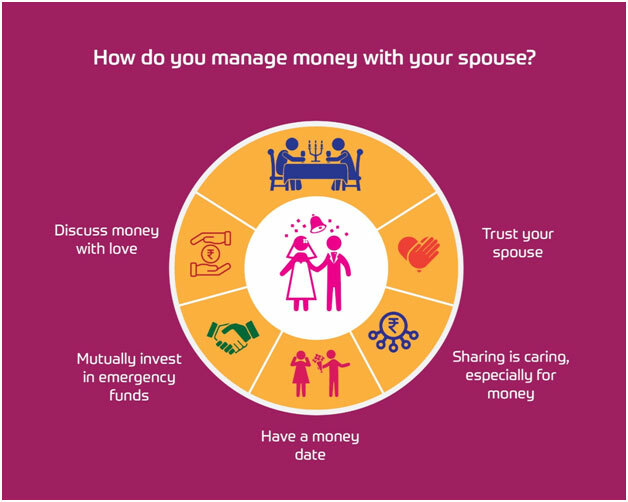 How do you manage money with your spouse? Managing money well not just ensures that you meet your needs, but also contributes towards a financially healthy relationship with your spouse. Though this sounds easy, like every other thing in your relationship, it does require a significant amount of effort. Money is not the basic necessity but it definitely helps buy them. Hence, managing money wisely is very important for all and most do a fairly good job at it. However, things take a completely different twist once you get married. Managing money well not just ensures that you meet your needs, but also contributes towards a financially healthy relationship with your spouse. Though this sounds easy, like every other thing in your relationship, it does require a significant amount of effort. So to help you with this, here are a few ways in which you can manage money effectively with your spouse. Discuss money matters with your spouse. Talk about where, how and how much to spend. Plan a budget and keep a track of it. Try not to overspend. Money matters sometimes might also end up in heated arguments or even fights. Make sure you talk it out very calmly and with love. Don’t let money devaluate your bond. Discussing helps you spend as well as save effectively. Emergency funds are of a great help at the time of crisis. Invest some of your income in mutual funds. Discuss with your partner and choose the right emergency funds for yourself. Consult the right firm and get your money invested. This money will help not only in emergencies but also after your retirement. 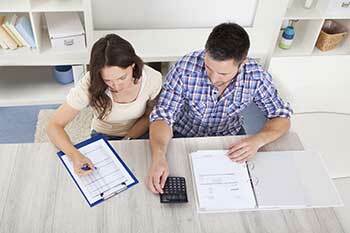 Make sure your investment funds are huge enough to support both you and your partner’s need. And therefore, it becomes all the more necessary that this is a mutually agreeable decision. Just like Valentine's and anniversaries, introduce yourselves to money dates. Plan meets and discuss money with a little bit of passion and love. Discuss where and how much did you both spend. Talk about your expenses as well as savings. The more often you have such dates, the better control you would have with your money as a family and even spend effectively. The way you share emotions, love and other duties, share money-related responsibilities as well. Discuss your work and expenses and then decide on who is better in handling what part. Delegate responsibility among the both based on your strengths and how can you contribute towards your common goals. This would ensure that you get best results most of the time and thus, improve your bond in the process as well. Trust your better-half in money matters just the way you trust them regarding everything else in your relationship. Believe in their instincts and support them in their decisions. Learn from experiences and take steps accordingly. Sometimes, trust can do wonders that nothing else can and this also leads to both of your happiness. So when you get married, see to it that you discuss money with your spouse. Spend wisely. Make sure you consider each other’s opinions and take decisions together. Remember, it’s not just you or just them, it’s both of you. Manage things keeping in mind both of your future.